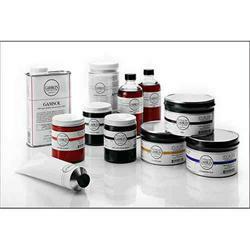 Gamblin Printmaking Inks are made with the same respect for traditional materials that have made Gamblin Artist's Oil Colors the choice for many of America's finest painters. Artist quality printing inks and artist grade oil colors share many characteristics, such as strong pigmentation and the highest quality binders. Only the finest quality Burnt Plate Oil and lightfast pigments are used to make these inks. This simple formula is what leads to permanence. Our inks are hand crafted in small batches in our Portland, Oregon factory. Printmakers can count on a high pigment load and rich saturated colors in their prints. Gamblin Inks print with unparalleled intensity and sensitivity to printmakers’ most finely detailed marks. Gamblin Burnt Plate Oil #2 8 oz.